Lesnar losing the title is a good sign for those hoping he’ll fight Daniel Cormier for the UFC heavyweight strap in August. WrestleMania 35 kicked things off big, forgoing a number of smaller matches to throw us right into things with the Brock Lesnar vs. Seth Rollins match for Lesnar’s WWE Universal Championship title. In the end the only one who got over was Rollins, who pinned Lesnar to take the title. 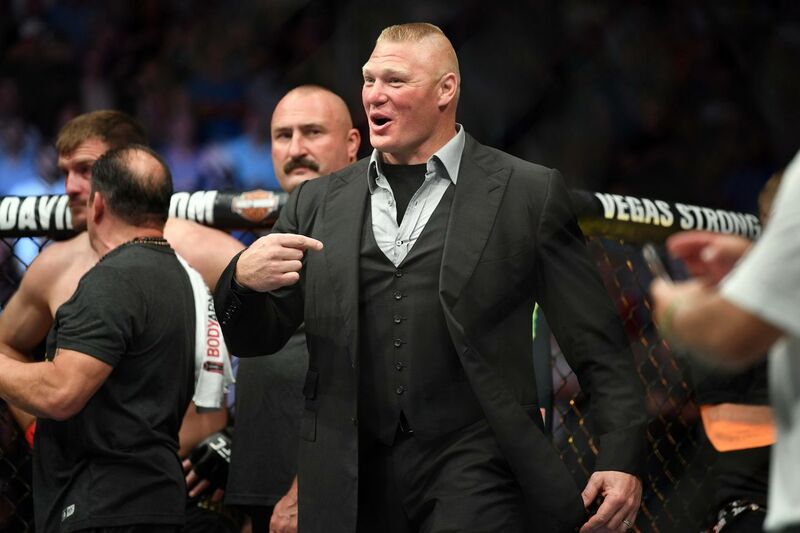 Now here’s the part you MMA fans care about: Lesnar dropping the title is good news for the UFC, who is looking to book Brock against current UFC heavyweight champion Daniel Cormier at UFC 241 in August. Lesnar has already been on a reduced schedule with the WWE for a while, but if he’s going to face “DC” in the UFC he’s going to have to devote the summer months to a training camp to prepare. This loss of the title sets that up. Lesnar was supposed to fight Cormier earlier — the two even engaged in a shoving match at UFC 226 in July of 2018 when Cormier won the heavyweight title off Stipe Miocic. But the WWE threw a ton of money at Lesnar after their top big man Roman Reigns had to take time off to treat his leukemia. Reigns is competing tonight at WrestleMania … just another sign that Lesnar is free and clear to return to the Octagon to challenge for the title. Former UFC welterweight champion Robbie Lawler will step foot inside of the Octagon for the first time in over one year next weekend at UFC 235 live on pay-per-view (PPV) from inside T-Mobile Arena in Las Vegas, Nevada. Lawler, who is coming off a tough decision loss to Rafael dos Anjos at UFC on FOX 26 back in December 2017, will be welcoming newly-acquired contender Ben Askren to the welterweight ranks. Some may consider “Ruthless” a hired gun who is going to test the resolve of Askren in his UFC debut, but the veteran isn’t paying attention to those notions on the heels of his own comeback. “I don’t think and play those games,” Lawler told MMAjunkie Radio. “I don’t really care. I don’t spend much time on he said she said, what you think about why and how. 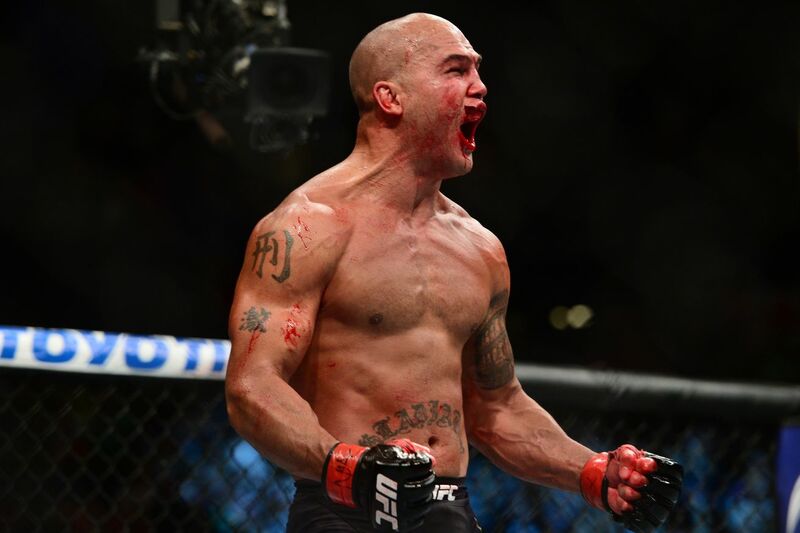 Lawler, who will be making his 20th trip to the Octagon at UFC 235, is in desperate need of a victory to stay afloat in a jam-packed welterweight division. 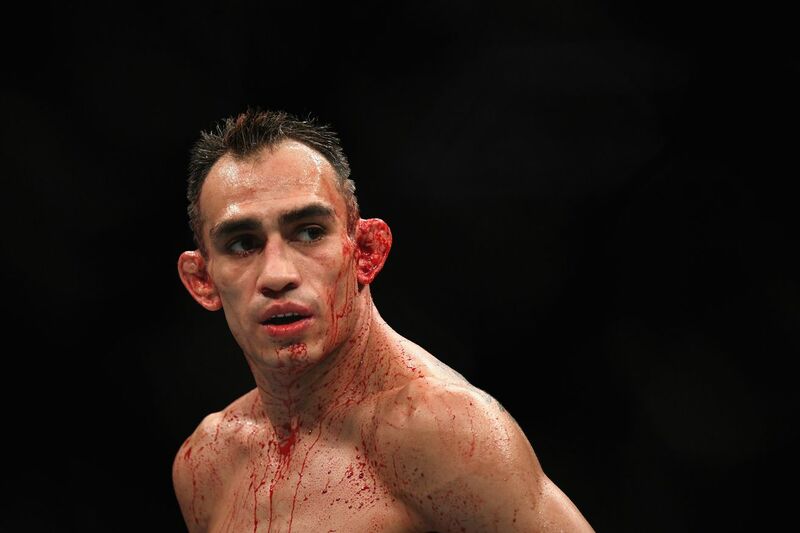 Having already been knocked out by current champion Tyron Woodley, “Ruthless” needs to impress in his return and solidify his position at 170 pounds moving forward. Luckily for Lawler, he’s had enough time off since his loss to RDA to recapture the appetite for destruction that made him such a dangerous fighter in the past. “I feel damn frickin’ good right now,” Lawler said. “I don’t know when it clicked that, holy (expletive), I’m a beast again. But I am. Should Lawler hand Askren his first professional loss and get back into the welterweight win column, the veteran should re-enter the title mix entering this summer. But if “Ruthless” is unable to ward off Askren next weekend at UFC 235, he’ll be in a very tough spot at 170 pounds. 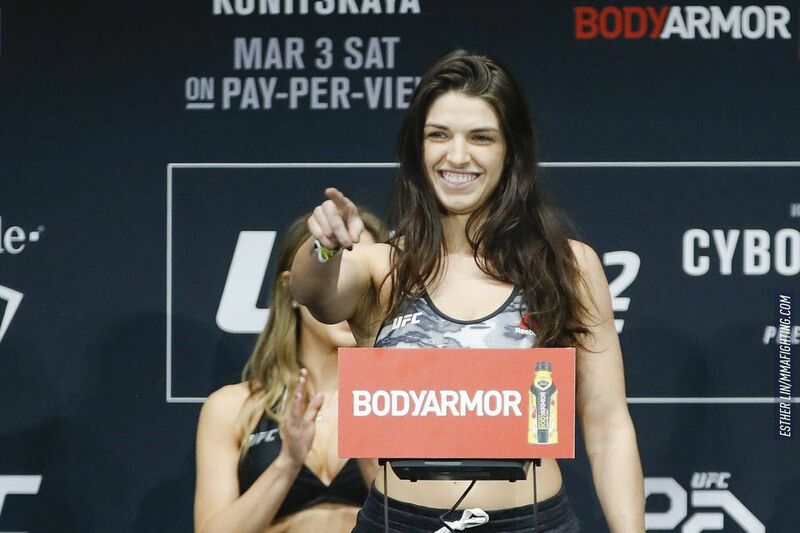 For more UFC 235 fight card news click here. Conor McGregor has a history of keeping fans guessing about his career, and a recent tweet continues that trend. On Saturday night, UFC Moncton plays host to two of the heaviest hitters in the Ultimate Fighting Championship light heavyweight division when Volkan Oezdemir battles with the surging Anthony Smith in the main event of UFC Fight Night 138. Sergio Pettis appeared to have turned a corner at 125 pounds with a signature win against Joseph Benavidez earlier this summer.